MKV is a digital format for videos. 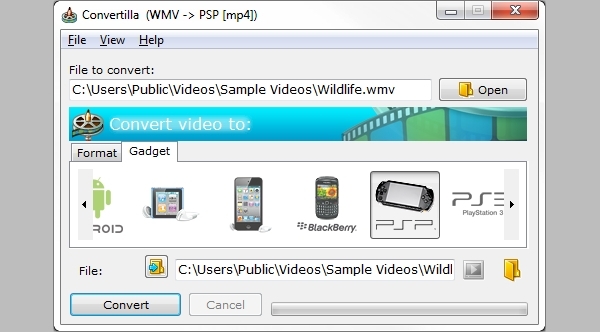 When you need to store the video with the .mkv extension in a portable device or your computer itself, you may need to convert them into a suitable and readable format like MOV, 3GP, MP3, MP4, WMV etc. Here MKV converters come into play. They convert the codec of a video file into the format desired and hence can be access to a whole new set of devices which were formerly unable to read MKV extensions. Here is an explicit guide of the top five converters which are tried, tested and recommended for use. With its amazing GUI, this software stands from the crowd of software. Ideally suitable for Windows user, however, it can convert files which are accessible to iPhone and iPods too. Multi-functional software that can convert Image, Video and audio files. Supported Formats are MP4, MOV, 3GP, FLV, SWF, AVI, etc. This software is sort of an automatic as you just have to enter the file size and the rest operations to convert the files and others are taken care by the system. Multiple files can be converted at once. 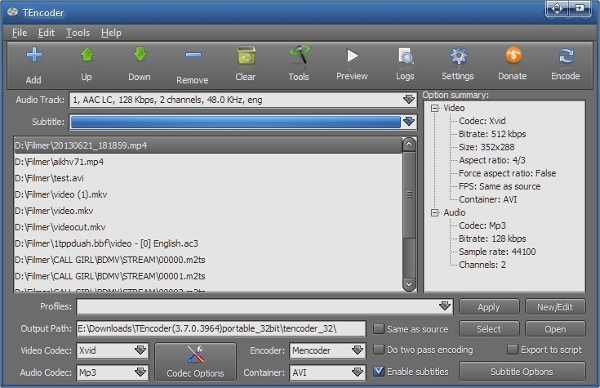 Codec and formats supported by the software are MPEG-1, FLV, MP4, VOB, MPEG-2 etc. Pavtube Free Video DVD Converter Ultimate is a one-stop-shop for all the people who wish to edit their videos and convert into other formats. You can convert your file or edit your file or both. Supports various video, audio and image formats. Ideal Editing and converting software for people interested in making videos. For E.g You Tubers. Comes with inbuilt edit tools. DIY tools are cropping, resizing, trimming the video, adding subtitles, text box, etc are add-ons. Engaging interface to work on with easy to use features. Displays result before finalizing the conversion of any video. TEncoder is a Complex but powerful conversion tool aimed for an experienced user. Users can Edit the videos, crop, resize, delay audio, DVD burning and file conversion, all included. The User Interface is not clutter free and all the technical details can be seen by the user which is ideal for an experienced user. Insert Watermark of your brand. This software is a basic small, hassle-free bundle of a converter which supports formats like FLV, MKZ, Avi, MOV, 3GP, MP3, AAC, FLAC, etc.This software can convert audio and video files. However CD burning and video editing feature is not included in this software. The interface is clean with functions displayed on the screen. Converted Videos are supported by devices like iPhone, Android, PS3, Xbox, iPod, Mac Book, etc.